Whether you’re jetting off somewhere exotic and want beauty inspiration or just looking to get the best golden glow with your makeup at the moment, bronzer is the answer. 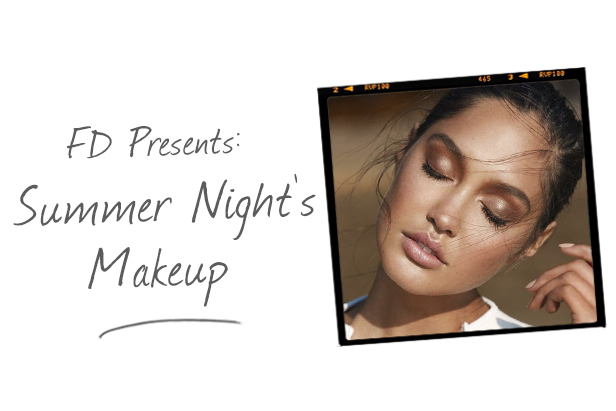 It can brighten your face and add that much needed glow that we all crave in the summer months. With bronzer’s you need to make sure you get the correct colour for your skin tone as one that is too dark will make you look muddy and lack lustre. Firstly you need to make sure you have your base perfected. A radiance primer is essential for making sure you have that gorgeous illuminating glow whilst also helping to keep your makeup in place throughout the day. We recommend the Mii Sublime Skin Illuminator for this step; it is filled with light reflective pigments that add a silky sheen and irresistible radiance. Apply before your foundation to stop it from slipping and sliding on face throughout the day, it can also be mixed with foundation to help enhance and create a dewy effect. Now we have our primer in place, we recommend going in with a BB cream rather than a heavy full coverage foundation. However this really depends on your skin type and what coverage you personally prefer. In the summer months and particularly abroad skin needs that extra hydration and essential SPF, so BB creams are perfect for this. We recommend Garnier Ambre Solaire BB Cream as it has SPF 30 to protect the skin but also gives a gorgeous illuminating glow. The tinted formula blends naturally with the skin which is great for when you’re on holiday and more tanned than usual as it will adapt to your skin tone. If you want to powder any areas that get particularly oily at this stage go ahead, a translucent powder will be perfect. Oriflame Beauty Studio Artist Translucent Loose Powder is really subtle. Now for the main event; the bronzer. 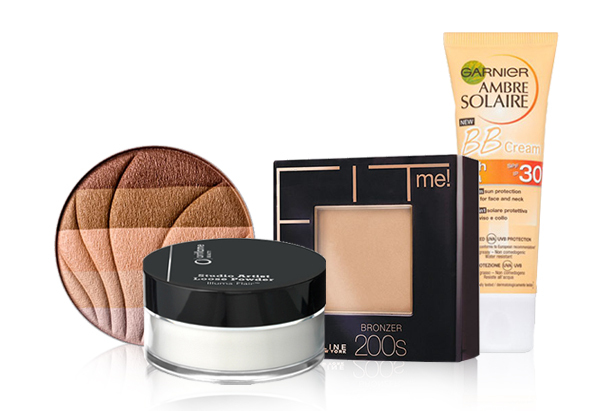 When choosing which bronzer to go for it is important to consider your skin tone. If you have pale or alabaster skin tones it is important to steer away from orange or brown based products as these can just give you that clown effect, not ideal. Go for a gold or pink undertone to complement paler skin and blend out to make sure it’s looking really natural. We recommend Revlon Highlighting Palette in Rose Gold. 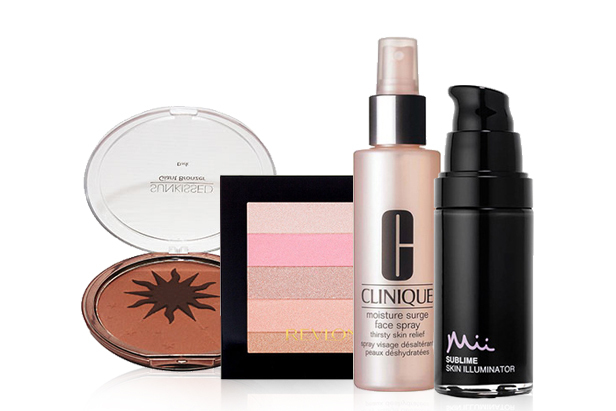 Medium skin tones are the easiest to find bronzer that will flatter. You just need to decide what kind of finish you prefer, whether it is a shimmer or matte product. The Shiseido Multi Shade Enhancer is beautiful and will give you a naturally sunkissed look. If you prefer a more matte finish go for Maybelline Fit Me Bronzing Powder, it’s really natural on the skin and super easy to blend to give you an even glow. For darker skin tones it can be quite tough to find bronzer that will pop and give an impact, it’s best to look for a product that will add luminosity and a warm glow to the skin. Sunkissed Giant Bronzer in Dark is very pigmented and will just add that warmth and radiance to the skin that looks beautiful and shimmery. Make sure you lock everything in place with a finishing or setting spray and you should get that long lasting base. We recommend Clinique Moisture Surge Face Spray for this step as it’s perfect at locking in that much needed moisture to keep you dewy and glowing on those summer nights. It is distributed evenly onto the skin and absorbs quickly without leaving a filmy residue, which is just what you need for warmer climate to keep the sweat and shine at bay!